The Nintendo Switch has got off to a promising start during its first year on the market. A number of third-party publishers and developers initially sceptical of the system’s ability to become a commercial success are now in on the action. As the impressive library of games on Nintendo’s latest device increases by the day, the growing popularity has raised concerns about the possible return of bargain-bin titles diluting the overall quality of the eShop library. Astro Bears Party by QubicGames and Sonka Team will unfortunately play into those fears. 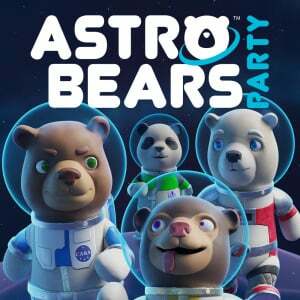 In terms of the functionality and presentation of Astro Bears Party there are no obvious problems. The issue is the severe lack of depth and most noticeably the amount of content on offer. For a Nintendo Switch title, even at this price point, there is simply not enough value for money. This trouble stems from the game’s four player party mode and the tedious single player high score mode. 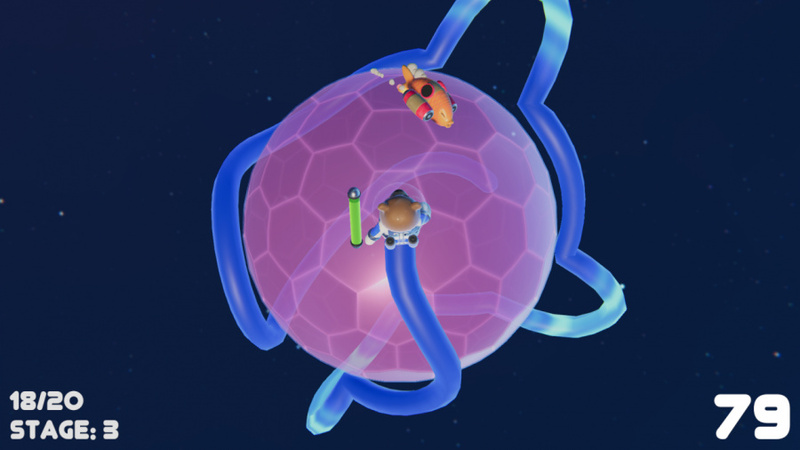 Both of these modes require players to repeatedly run around a sphere in the guise of a planet, as a colourful line referred to as a “magical beary ribbon” flows from the bear’s rear. If you run into this line it’s game over. In multiplayer, if you connect with your own ribbon or a rival player’s line, you lose the match. 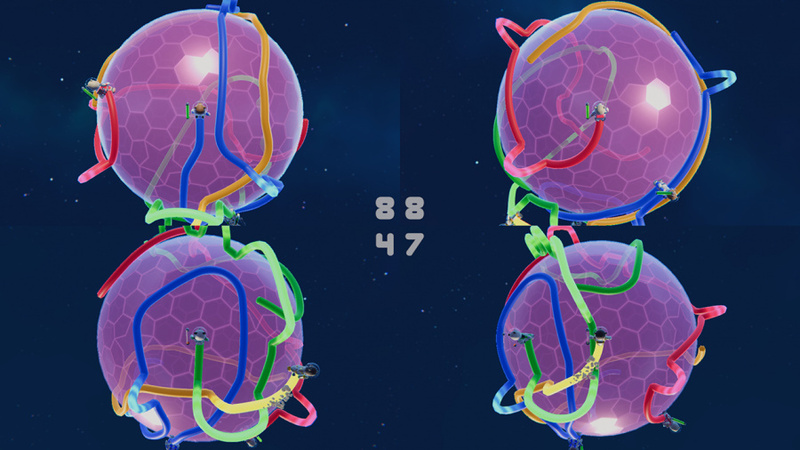 In single player you work through stages that look no different to one another, and collect “jetfish” to extend both your score and ribbon length until you progress to the next level. To stay alive there are a few mechanics you’ll need to master. 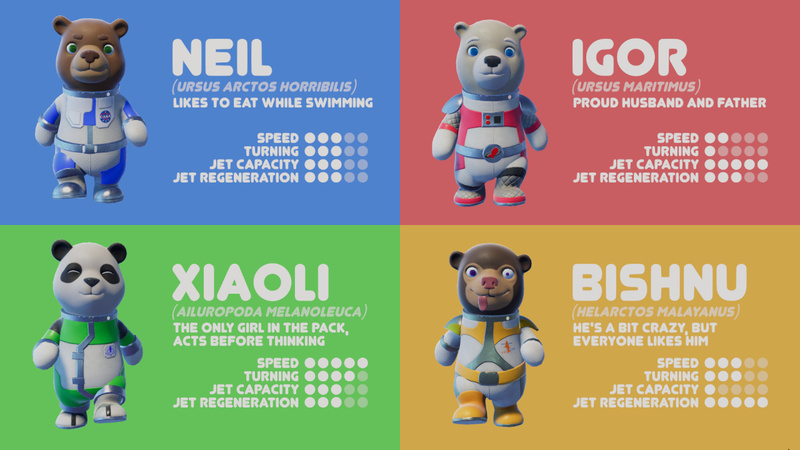 Jetpacks allow players to jump over lines as well as temporarily hover, and the dash button increases the speed of the bear. Besides this that’s all there is to Astro Bears Party. Both of these mechanics will need to be mastered if you want to improve your high scores in the increasingly frantic single player or win against your friends and family in the versus mode. The multiplayer is what this game sells itself on, but because there is nothing more to it than two to four bears running around a single planet trying to trip each other up, players are likely to lose interest quickly. There are no interesting game modifiers, character customisation or level selection options (apart from choosing between three planet sizes). The four bears have unique stats, and that’s about it. The music across both modes of the game is a single high tempo electronica track that sounds like it was ripped from a song created in 1980, and becomes difficult to listen to after a few minutes. It also serves as a constant reminder that this game has a very limited amount of content to offer the player. To add to this the rumble effect has been overdone, with excessive vibration on a regular basis. The best part of the title is the presentation - the 3D models of the bears admittedly look pretty good. 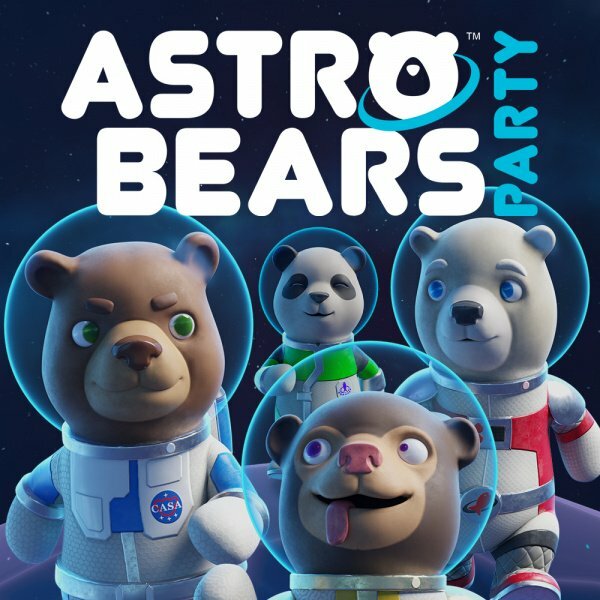 Astro Bears Party plays more like a tech demo that is a few days into development rather than a complete package. The concept is a neat idea, but it seems as if the developer got the absolute basics up and running and then decided to halt work to rollout the title. The amount of content in this game is so underwhelming, as a result, that it’s hard to justify putting any real cash towards it. At best this is perhaps suitable for a few short rounds of multiplayer, or for any younger people who are new to video games. Otherwise you should look elsewhere if you are seeking a new party game on the Nintendo Switch. Yikes another 4/10 game. Shame as I like Bears. And Space. Hmm, the only reason I considered it at first was because of the price point. It's too bad there isn't more going for it. I guess Lovers in a Dangerous Spacetime it will be whenever I break free from Stardew Valley to play with my comrades. I watched the trailer on eshop thinking the game's concept looked intelligent, but the overall design choices were stupid. This looks almost as bad as the game with the witch flying a bicycle... almost. No matter how cool the light cycle sequence in TRON looked, it just never works out as an actual game. That score seems a little generous. Wait thats IT?? That's all the game is?! Brief high score and local multiplayer? @RyanSilberman chasing aurora got an 8 for that. I have to disagree with the score. It offers limited content but it is not a bad game. Don't forget that it costs only 4.49$. It's basically a multiplayer version of Snake in 3D and I had a lot of fun with it. @mordecai and there have been loads of fuller experiences at $5. I predicted this to be Shovelware. .
@RyanSilberman Did you play it? I did, and I liked it. @mordecai ive enjoyed it to! But at least new stuff coming. Would rather get kicked in the shin. @KIRO I'm in. Ohhhh kickstarter....that is well played! I've played very good versions of TRON-like games. But this is to beary for me. Should be more trony. My friend made me get this game as a joke, and it wound up shocking us. It's a really fun mini game to sit around the couch and have a few beers and play with some friends. I do wish there was more content, but the multiplayer is a good time. Thoroughly disagree with this review, every time my friends/family come over, this is the first game they want to play, it's cheap and it's a looooot of fun. If it was a 60£ game, yes, it would have been too expensive, but for £4.50 (and often on sale for as low as 89p) it's a bargain! This game is easily worth the price during its usual sales. Less than $1-2 USD is a steal for a game that provides a lot of fun during multiplayer sessions.